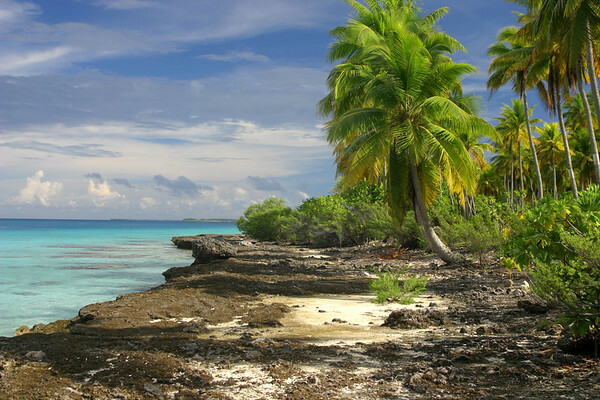 Fakarava (April 2007) - the second largest atoll in the Tuamotu island chain in the South Pacific. 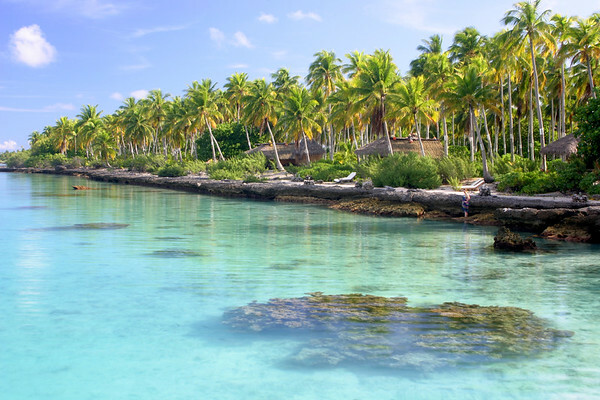 The island is roughly 100 miles northeast of Tahiti but seemingly a million miles away from everything. 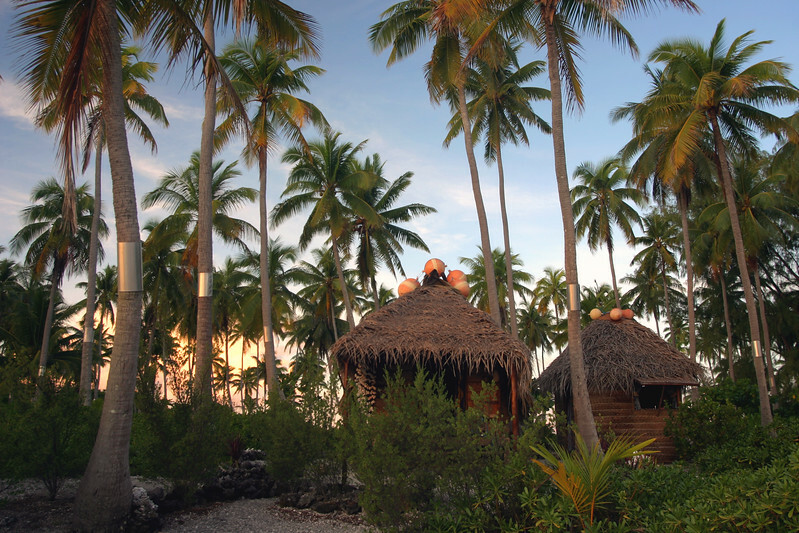 After flying into Fakarava's airport, we drove 1.5 hours by boat south to Raimiti, an isolated pension on the southeast side of the island. It's incredibly hard to find words to describe Raimiti...It's so unique and different from anything we've ever experienced that we felt as though we'd found a new world. Six nights filled with unique experiences, learning, and discovery. 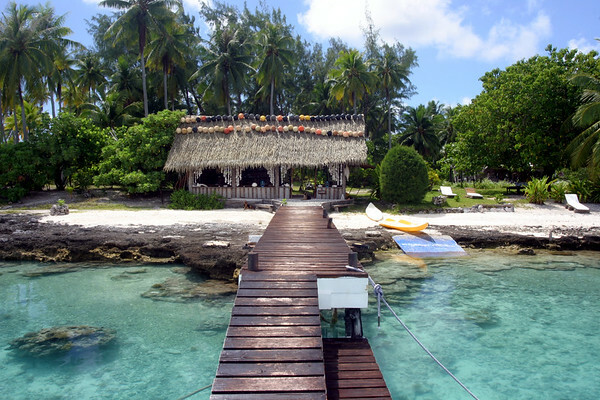 Thanks to Junior and Elvina for following and sharing their dream of Raimiti with us. Our home at Raimiti. The bungalow with our bed is on the left, and the bathroom on the right. 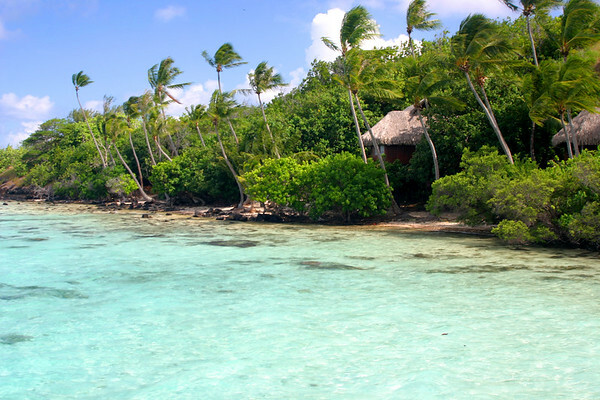 The bungalows face the lagoon side and are nestled amongst the palm tree grove that extends all the way to the ocean side of the motu. Since there was no electricity, we relied on oil lamps and solar powered lamps to see during the night time. The night sky revealed a galaxy that remains hidden for most of us in the Northern hemisphere. An unreal light show. Sunset during our first night at Raimiti. 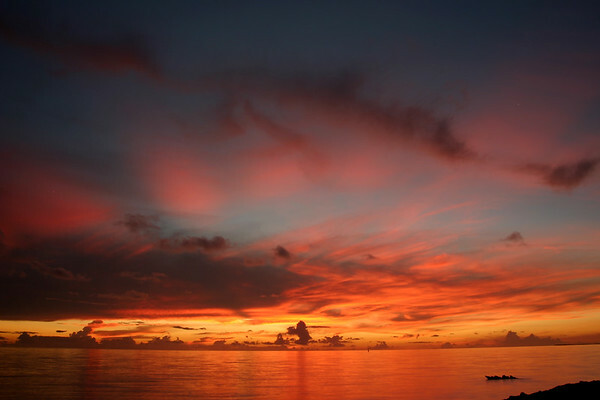 On our first night at Raimiti, we were treated to one of the most spectacular sunsets I've ever witnessed. It's almost painful looking back at these pictures, because all I want to do is hop on the next plane and make the very long journey back to paradise. Fire in the sky. 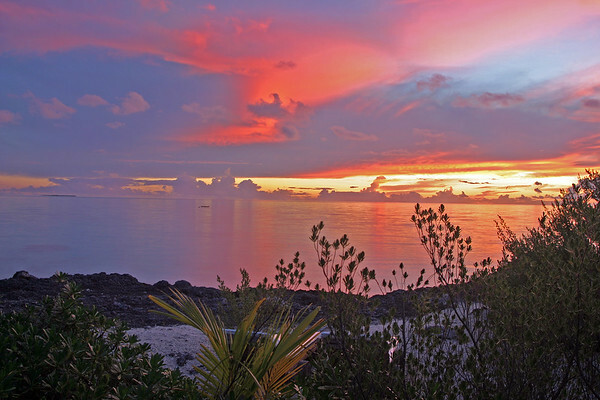 This was the sunset from our first night at Raimiti. Most of the other nights, the clouds had built up in the West so much that the sunset was much more muted. Raimiti's lagoon side. Each of the four bungalows have several lounge chairs where you can rest in between your swims in the lagoon. 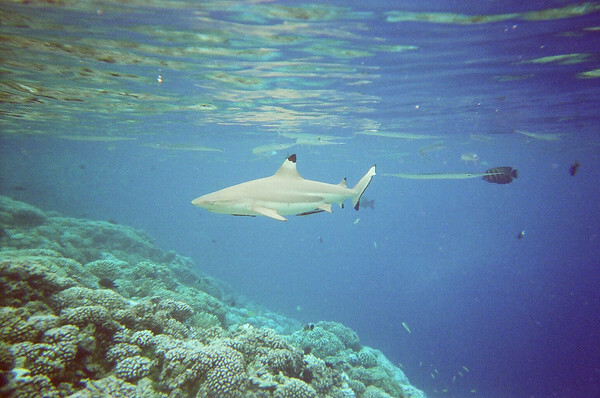 The waters are dotted with coral reefs, many small fish, and the occasional black tip reef shark. 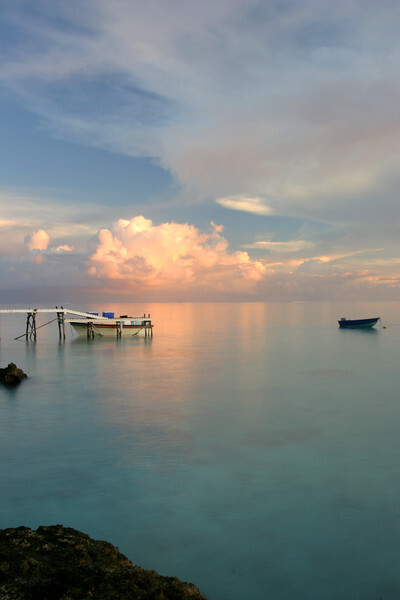 A great spot for snorkeling, relaxing, and watching the day go by. 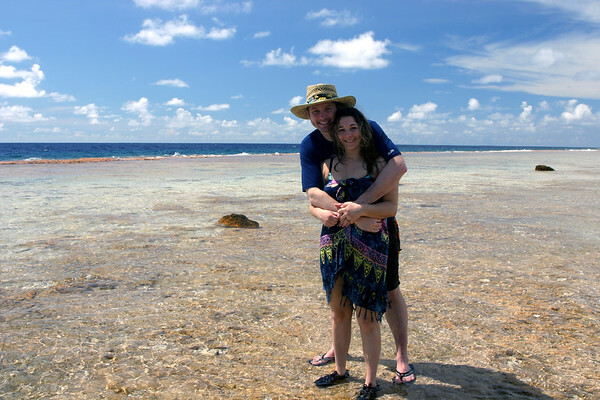 "It's always better when we're together" - Jack Johnson Us on the ocean side. The pink reef in the distance serves as the break for the waves. The spillover from the waves fills up the area where we're standing, and the sun heats the water to very warm temperatures. It's almost like standing in a foot sauna. 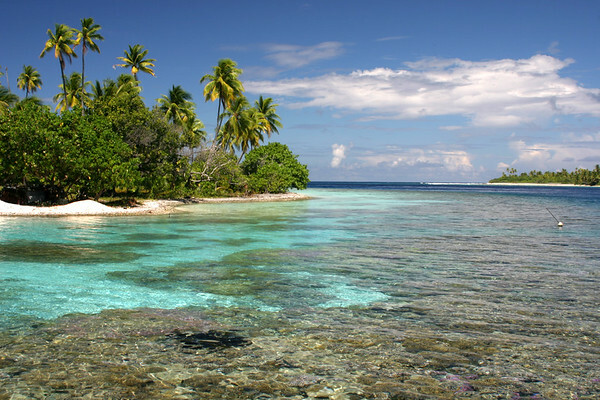 A true South Pacific paradise - Pension Raimiti. Completely off the grid from all forms of civilization. There are no roads. There is no boat trafiic. There is no air traffic. And there are no people that live on the motu (small island) other than the pension owners. Hard to imagine such a place still exists in such a complicated, technology driven world. A 5 minute walk along the Raimiti lagoon side brought me to this point. The pathway is built on coral that feels very similar to the lava that on the Big Island. Reef shoes are a must have to ensure good traction and no cuts from the sharp coral. 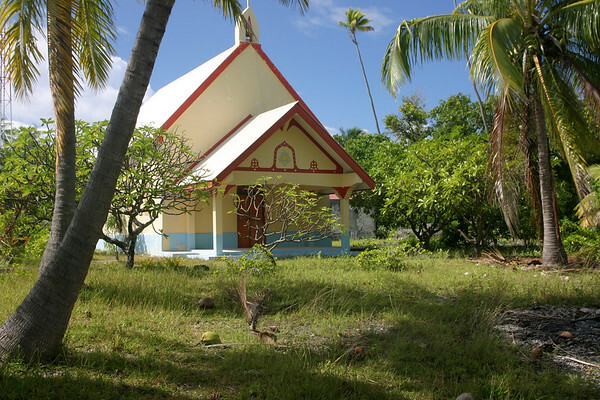 An old, unused, but incredibly beautiful Catholic church in Tetamanu Village. The church is open and can be visited by anyone who can find their way to the South Pass. 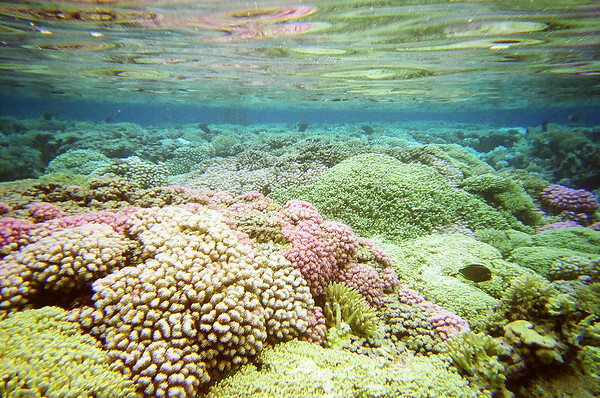 The amazing coral gardens of the South Pass. These gardens are far and away the healthiest coral I've seen.